A simple record keeping system can track individual animals, their ancestors, siblings and descendants, matings between animals, litters born from these matings, and experimental material obtained from the animals. An ideal record keeping system also lets every user easily configure the system to appeal to their own needs, from workflows and automation to executing mating schemes. We offer versatile functionality in our tools, allowing you reallocate your time from colony management to doing research. 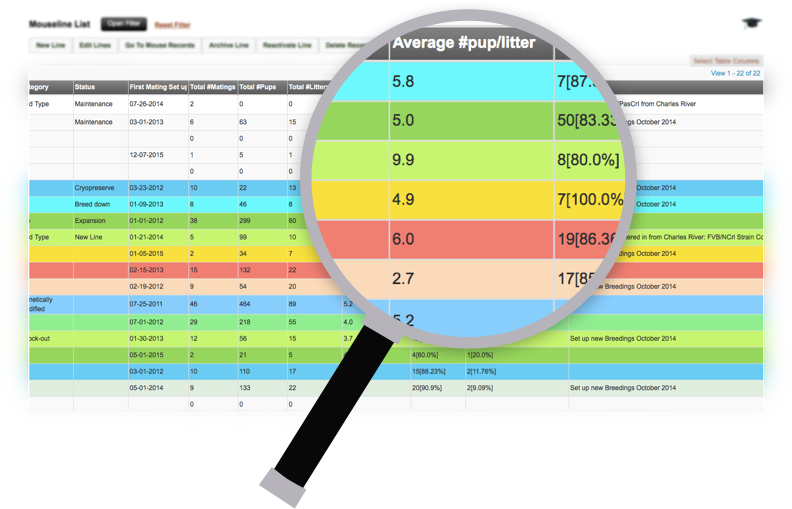 SoftMouse helps you optimize your experimental design by keeping detailed breeding records that are readily accessible from anywhere and at any time, which is crucial for evaluating the breeding performance of a colony in ongoing experiments. With SoftMouse, you can access your secure mouse data from any web-linked device and input information into the database even from within the mouse room. 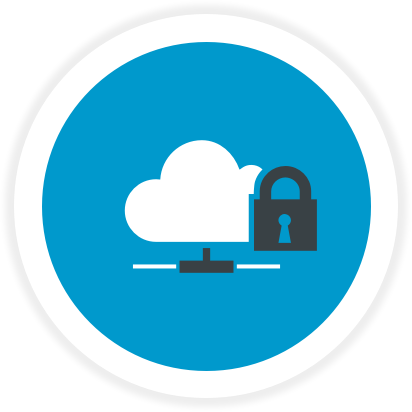 Your data is secure and accessible from any location, and with fine control over viewing rights; your information will only be available to the right people at the right time, and in the right context. 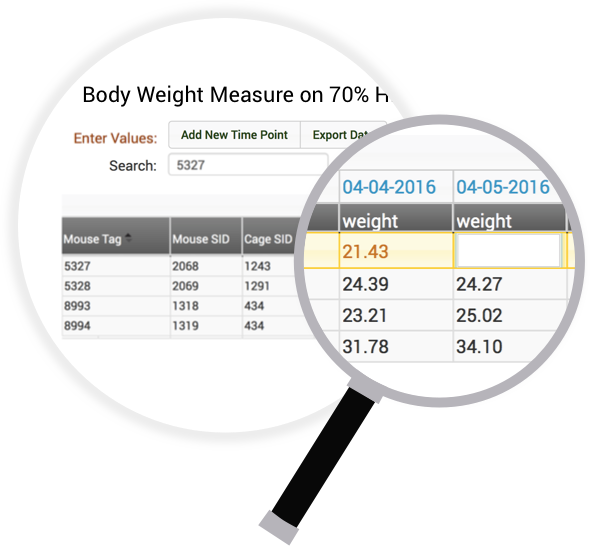 SoftMouse can capture inputs from data collection software for serial devices, including wands for RFID chips or transponders, scanners, scales, and much more. 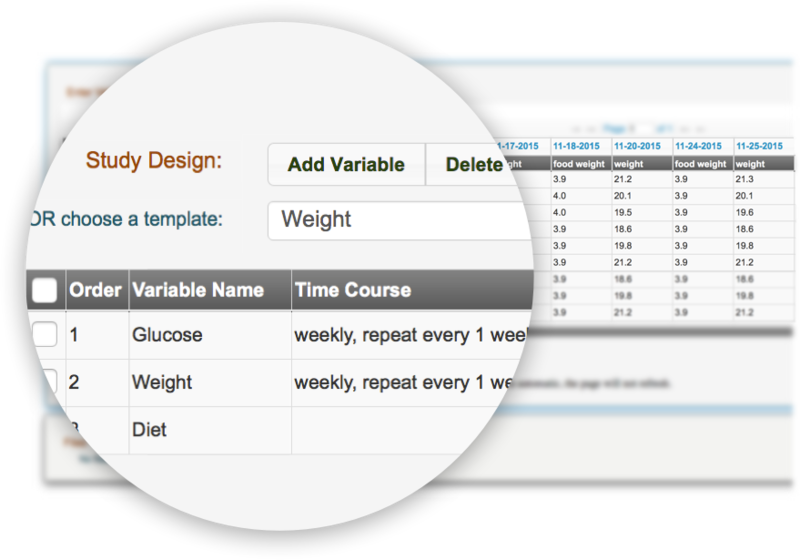 By transferring data automatically into your SoftMouse experiment without manual typing, you can eliminate mistypes and manual data entry errors. Scan your animal to search for its SoftMouse record, then add your data via scale or other peripheral device without touching the keyboard. Data entry becomes as simple as click and scan! Examining your records through SoftMouse allows for faster detection of problems, allowing for swift corrections if any mistakes were made. 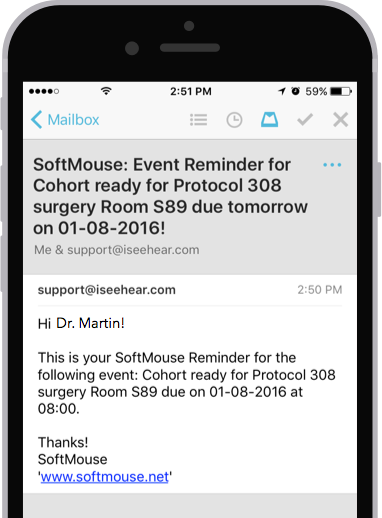 Automation can be integrated into your workflow through SoftMouse Alerts.